Seattle has been one of the more proactive cities about eliminating waste and ratcheting up its recycling program—especially in the sports industry. CenturyLink Field (home of the Seahawks) along with SafeCo Field (home of the Mariners and Major League Baseball) joined leading business and cultural icons throughout the city in a "Strawless in Seattle" campaign last September. Now, the Mariners have been awarded Major League Baseball’s Green Glove award for 2017. 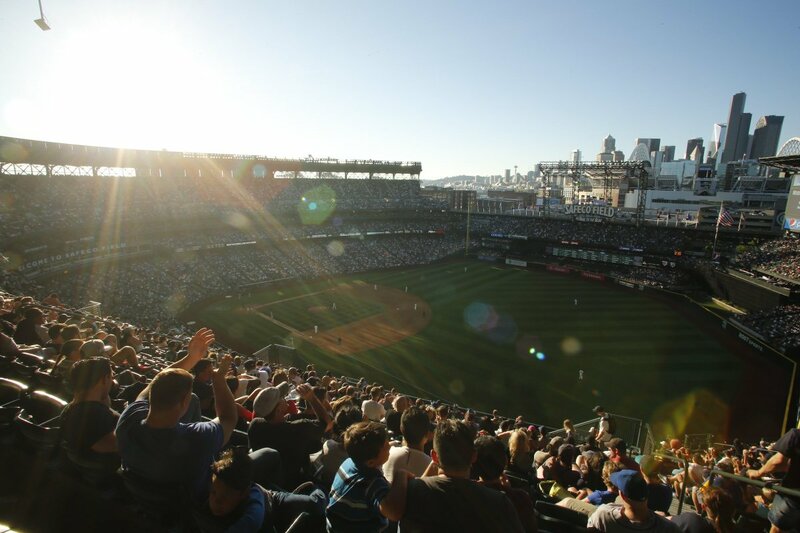 Safeco Field has the distinction of being the most sustainable ballpark in baseball today. Ninety-six percent of all waste generated last season was recycled—up a whopping 90 percent from just a season ago. The only other winner since the award’s inception 10 years ago has been the San Francisco Giants, whose home field is AT&T Park. In order to accomplish this feat, Safeco Field has numerous compost and recycling bins around the facility that replaced garbage cans. Every food service item, from what’s holding the nachos to beverage containers, are recyclable or compostable. Cleaning crews manually separate plastics compostable waste after every game. The Mariners have been playing under energy-efficient LED lights since 2014; the first ball club in Major League Baseball to do so. The team also added an urban garden at Safeco Field before the 2016 season that provides fresh vegetables and herbs for the concession stands. It occupies just 450 square feet of space in the facility. "We have worked hard over the years to make Safeco Field one of the 'greenest' ballparks in pro sports," Trevor Gooby, Mariners senior vice president of ballpark operations, told MLB.com. "With our hospitality partner Centerplate, and our founding sustainability partner BASF, we have been able to significantly reduce our impact on the environment. Thanks to Major League Baseball for recognizing our efforts with this great honor." “Strawless in Seattle” called on venues, businesses and individuals across the city to eliminate single-use, plastic straws. More than 100 Seattle businesses joined together with the Lonely Whale Foundation to help eliminate plastic waste. Seahawks quarterback Russell Wilson helped spread the word by campaigning for the cause. Generating a 90-percent increase in recycling efforts over one year is an astonishing accomplishment, especially when needing to host 81 baseball games in a year. We’ll see if this effort can boost the popularity of the award for other teams to challenge.